Colliers in Idaho has been locally owned and operated since 2001. The business is owned entirely by members of our Treasure Valley offices. We are the only large-full service brokerage firm in the state that offers global research and analysis, innovative marketing strategies and support from more than 15,000 skilled professionals around the world. Locally, Colliers | Idaho has offices in Boise, Nampa, Pocatello, and Twin Falls. Our unique culture and structure encourages our people to think differently, to share innovative ideas and to create effective solutions that accelerate our clients’ success. Colliers Idaho is always looking for quality, experience real estate sales professionals. Send inquiries to careersidaho@gmail.com. We are excited to announce that we ranked #3 in the medium companies category as one of the Best Places to Work in Idaho 2018! Giving back is an essential part of who we are. We donate our time, talents and resources to causes that are meaningful to our employees, their families, our clients and communities. We’re also deeply committed to socially and environmentally responsible business practices—the kind that keep our communities healthy while supporting the long-term success of business. Please join us for our 1st Annual Colliers Eastern Idaho Outlook event in partnership with Regional Economic Development Eastern Idaho (REDI). Don't miss Eastern Idaho's first Economic & Business Summit! Networking. Panel Discussion. Market Knowledge. Contact melanie.nielsen@colliers.com for questions or sponsorship opportunities. Stay tuned for information regarding our 2019 Fall Outlook Conference at Boise Centre! Click here to view 2018 highlights. Looking for information about the Idaho market or what properties are available from our Colliers professionals? Subscribe and get the latest information directly to your inbox! Make sure you connect with us on social media! We love sharing things from local events and community involvement to our #DogDayFriday highlights. Follow us by clicking on the icons below. Jim serves as the Managing Partner and Market Leader for the Colliers International Idaho Offices (Boise, Nampa, Twin Falls and Pocatello). In this role, he oversees all aspects of the brokerage and property management services, business development and departmental objectives. 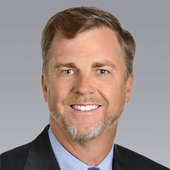 Prior to joining Colliers, Jim was the Executive Vice President & Partner at Phillips Edison & Company from 2005 to 2016. Based on Salt Lake City, Utah, Jim helped generate over $200M of ground-up development and acquisition for net lease properties throughout the United States. He acquired $80M of properties in 36 months and raised $22M of equity from individual high net worth investors. From 1999 to 2002 Jim was CEO and President of a company based in Salt Lake City, Utah called HGM medical Lasers. He oversaw all aspects of the business, including procurement, manufacturing, engineering, regulatory compliance, sales & marketing and accounting. He increased value of the company from $710,000 to $7.8M at the time of the sale and was honored with a nomination for the Ernst & Young Entrepreneur of the Year award for the turn-around of the business. Jim’s professional experience also includes 25 years as an attorney practicing almost exclusively in real estate services. He practiced with Isaacson, Rosenbaum , Woods & Levy in Denver Colorado from 1992 to 2000 and again with Parsons Behle & Latimer from 2002 through 2005.